Get your conference info on the go! The ILTA Events app provides access to the conference agenda, speaker details, attendee list, exhibitors and more. Search for ILTA Events 2017 in the Apple iTunes and Google Play stores (see device requirements). 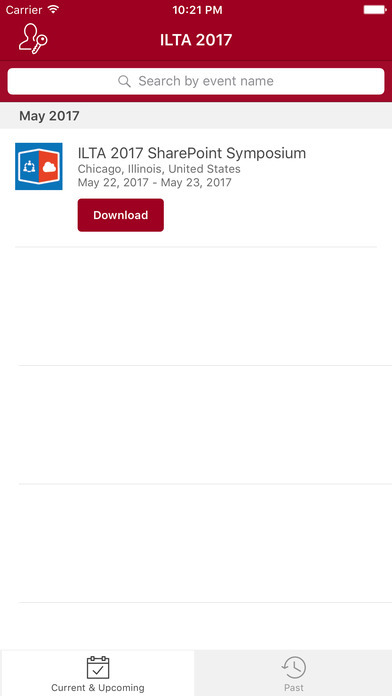 Once in the app, you'll need to download the SharePoint Symposium event. 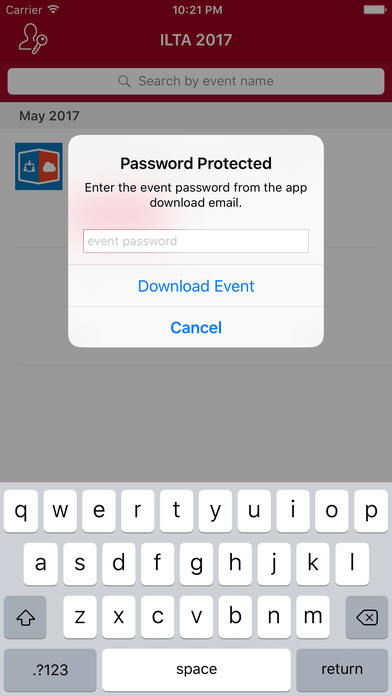 You'll be prompted for an event password, which is sps17. In order to access all features of the app (and to score points! ), you'll need to log in. When logging in for the first time, you'll be prompted for your name and email address. A verification code will then be sent to your email address. Keep this code in case you log out because you'll need it to log back in. Note: Add support@crowdcompassmail.com to your approved senders list to ensure you receive your verification code email, which could take several minutes to arrive. Visit IMPORTANT INFO in the app for lots of helpful tips. For additional questions about the ILTA Events app, email us at mobilehelp@iltanet.org.